Does it taste like cauliflower? Yes, it does so if you’re not a cauliflower fan (I love it!) this may not be for you. But if you’re a fan like me, you’ll love this side dish! And it’s also vegetarian, vegan and Paleo-friendly. Horrible, just tastes like wilted cilantro and lime juice. Had to rescue it work other ingredients. WILL DEFINITELY BE MAKING THIS AGAIN !! Made this for dinner tonight…delicious. I will make it again! Has anyone successfully froze the leftovers? I’m the only one who will eat it and it would be great for meal prep. Why are there only 5 reviews on this? It is INCREDIBLE!! My pickiest kid (who currently refuses most veggies) ate it without knowing what it was and loved it. You can’t get any better than this. Love it. Thanks so much for this website. My nutritionist suggested it and I’ve made meals off of it every night since learning about it. Thanks so much! I did not get 5 servings and I used a whole head of cauliflower. Only got 3 servings. Anyone else have that issue? There has been so much hype on”cauliflower” rice recipes lately. We are trying to cut back on carbs and although I was hesitant to make this, it was delightful! 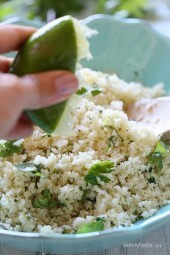 The cilantro and lime gave this a fresh taste and the flavours popped! Loved it. I added some pineapple to this and it was outstanding. Hi! 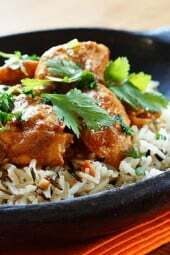 If I use riced cauliflower, how much do I need to get the equivalent of the cauliflower called for in this recipe? Thanks~! Made this tonight to serve with the Chicken and White Bean Enchiladas. Tasty side! I used a bag of the frozen rice cauliflower from Costco and lime juice from a bottle and it still tasted great! Nice low carb side for the enchiladas. I made this to go with mexican turkey meatballs and pico de gallo. OMG this is by far my favorite thing I have made on Whole30 (with the meatballs) It is on the rotation for sure! Thank you! I won’t say epic fail because it did taste good however it was mushy! The only thing that got brown was the bottom of my sauté pan ???? I purchased the already grated cauliflower from the grocer. It had tiny varied sizes of grain. I’m late to the cauliflower “rice” scene… finally tried this tonight using Trader Joe’s frozen cauliflower rice. It was heavenly, just loved it! Kids, too, and it was so easy.. Thanks so much for all your recipes! Yum yum yum — wanted to eat the whole recipe. Will definitely be making this on a regular basis. We made this tonight, and I thought it an interesting change as a side with tostadas. I’m curious to know if the lime flavor is supposed to be subtle or not. You can add as much or little lime as you like to your taste. Just made this using Trader Joes rices cauliflower, it was delicious. Wish I had made more. Thank you for the recipe. Forgot the salt and pepper, did not miss it. I will use this in place of rice anytime!!!!! It's delicious!!!!! Can you use the blender? Made this tonight and WOW!! It was so delicious that I ate 2 out of the 5 servings!! OMG! This was so good! Thanks for the great recipe!! Keeper for sure. I didn't care for the taste of this on its own but it was great paired with the baked chicken with lime and Dijon mustard! Hi Gina! I don't have a food processor, but I do have a great blender. Would that work for the cauliflower? Usually I have some liquid in the blender, so I've never thrown in something solid like the cauliflower. Please let me know what you think. OMG – this was so good!!! Definitely adding to the rotation! Wow we loved this! It really does not taste like cauliflower. I followed the recipe exactly. My 93 year-old grandma who is very picky and never wants to try new things LOVED it. She couldn't get over the idea that you could make "rice" from cauliflower! Thanks so much for this genius recipe. I made this with grilled tilapia and baked asparagus and my boyfriend said it was the best meal I've ever made by far! I don't have a grater or food processor… so my only option is finely chopping it huh? Any specific technique to get desired results? I use the grater disc for my food processor for much better results. This and other versions have become a weekly staple in my diet. I love it! 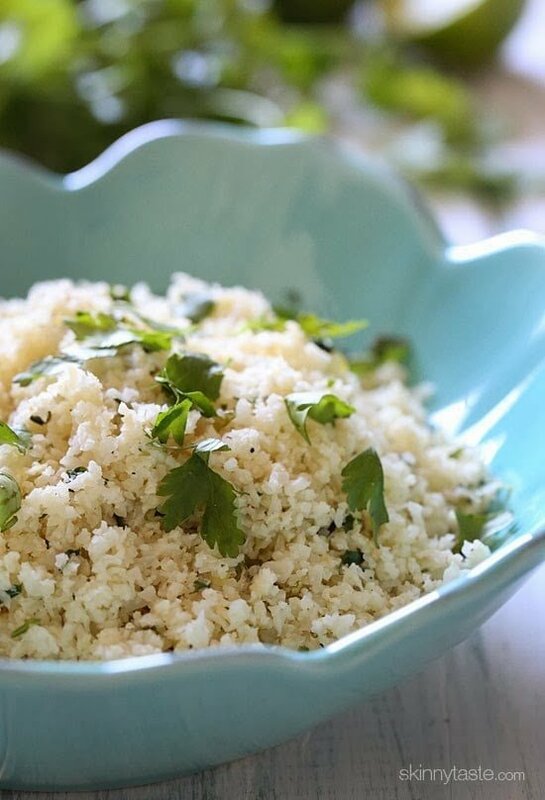 I'm not a big fan of cauliflower but I loved this cauliflower "rice"! I made it with your Slow Cooked Pernil. The "rice" was even better the second day! Thank you for all your amazing recipes!! made as a side last night and loved it! it didn't even taste SO like cauliflower to me! thank you! Does cauliflower rice keep well over a few days? Seems like an ideal dish to make a huge batch of and use for a few dinners, if it keeps well! can you get by without using a food processor? Blender maybe? I'm trying to eat more vegetarian meals and would love to make this my main course for lunch but am trying to think of a way to add some protien to it… any suggestions? Black beans maybe? This is an over the top, delicious recipe. Served it with roast beef and mushroom gravy. Didn't even miss the carbs. Plan on having the leftover cauliflower in an egg white omelet. This recipe is FABULOUS …I have done it with cauliflower, broccoli…and my FAVORITE….CELERIAC (ROOT)!!! Thanks for continuous skinny culinary genius Gina! This was so good and such a different way to use cauliflower! My husband always feels he needs to have a starch/grain with every meal (and I don't) and this was a great way us to compromise. This was SO delicious!! Made it to go with the honey sesame chicken lettuce wraps – Amazing! do you think this would be ok to freeze after cooking it? Would it work to hand grate the cauliflower instead of getting a food processor? sure, although that would be a lot more work. It took me less than 5 minutes to grate the cauliflower with a box grater. No big deal. This was delicious (as I am finding all of Gina's recipes are)! It was also very easy to make. The combination of the garlic, scalions, lime and cilantro was perfection. I had this last night with the pork barbacoa. It felt so decadent but really was very healthy. Thanks, Gina! My husband is huge rice fan and we are trying to come up with healthier alternatives. I saw this and we made it last night for dinner. It was soo simple and flavorful. It really had the consistency and similar flavor to rice. My husband was shocked at how much he enjoyed it. The only variation we made is we didn't use 1 1/2 lime juice we only needed half a lime's juice. This was very good and different. Love the lime. This was really good… Made it as a side for coconut chicken. Jen….to stretch any amount of servings into MORE servings….just decrease the amount you use for each serving. Example: 2 cups of this, using 1/2 cup as a serving size…would serve 4 people. If, however, you reduce the serving size to 1/3 cup…you will increase the total servings to 6! I didn't feel like dragging out the food processor so I boiled the cauliflower, mashed it in the pot and let it sit on a burner set to low, until it dried out a bit. Then I added it to the skillet and cooked as described. It was amazing. Thanks! I don't have a grater, food processor, or blender so I am going to try it this way definitely! Thank you! This was amazing. I didn't have cilantro so I used regular parsley, I am sure it will be even better with cilantro! Thank you for making a veggie dish, us WW's know that you can never have too many veggie dishes, this is a clever way to fit in yet another. Keep rocking the veggies! 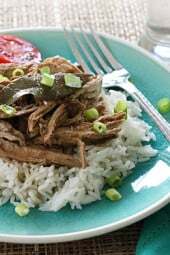 I am happy to report that this was DELICIOUS and went perfectly with the Cuban Picadillo recipe– you simply must try it with this recipe!! There was something so satisfying about the texture and flavor of this "rice"… a great way to get some more veggies in. This one is going to be a keeper for me. Bravo, and thank you, Gina!!! I soooo want to try the cuban picadillo ASAP. Must make this with it, thanks for commenting on it! Why does it have 2 points per serving? The only thing that has points is the Olive Oil (3 points for the whole recipe). You say this is 5 servings, so eating the whole thing would be 10 points? I'm confused. I made this last night (even went to the store just to buy a food processor so I could make it) and WOW. It is absolutely delicious! I will be making this again, and again, and again. 🙂 Thank you!! 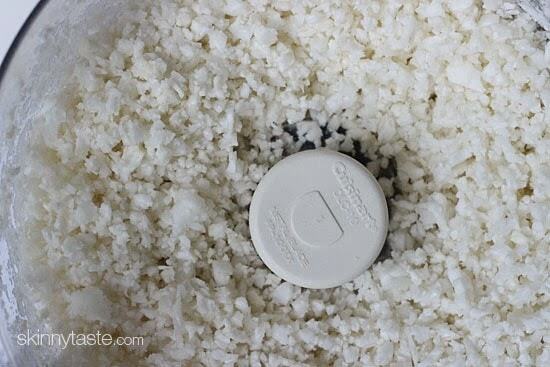 You can also use a cheese grater to grate the cauliflower instead of using a food processor. If you are lucky enough to have inherited your mom’s or grandmother’s potato ricer are you in heaven or what? You can even fix this on a camping trip! so delicious!!!!!!!!!!!!!! I bet if you add a little jalapeno for some heat, I bet it would be pretty good as well. Thanks GIna, this was awesome. I'm wondering the same since I don't really care for cauliflower! Brocoli won't work as well since the florets aren't solid like in cauliflower. Even though it won't be the same, I'm sure it'll still be delicious! 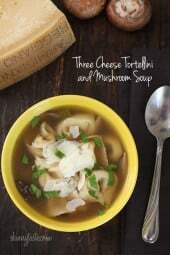 Looks great, but I am trying to figure out why it is 2pts+…..The ONLY ingredient that contains weight watcher points is the oil…1 T oil = 3 Pts+, this recipe makes 4 servings…..
Also, when I looked up nutrional info on cauliflower, I am finding for one cup of cauliflower there are only 6g of carbs. You are showing 8g. Onions and garlic do contain carbs….. I've asked this question in my WW class. When creating a recipe, using "recipe builder", it looks at the nutrition value of the whole recipe to figure the points plus. That is why zero fruits and veggies in a recipe may show points+ values in the recipe but do not have points plus values if not in the recipe. I don't think frozen would work. Frozen from trader joes works just fine – I made it tonight! Do you cook the cauliflower rice since it’s frozen or do you throw it in the pan frozen? cauliflower rice. it is fantastic and has the perfect texture. a fav in our house. How much of the cauliflower rice did you use? I have one 12 oz bag. shut and replace in freezer. Great idea! I made cauliflower mash this weekend and it's just so good! I almost like it better than the potato version. Love the idea of ricing it as well.